Beginning at 7 p.m. (after regular park hours), guests with special event tickets to Mickey’s Very Merry Christmas Party can enjoy all the holiday splendor with lively stage shows, spectacular fireworks, a unique holiday parade and favorite holiday traditions including complimentary cookies and hot cocoa, and snow flurries on Main Street, U.S.A. Guests can enjoy new experiences and attractions at New Fantasyland. 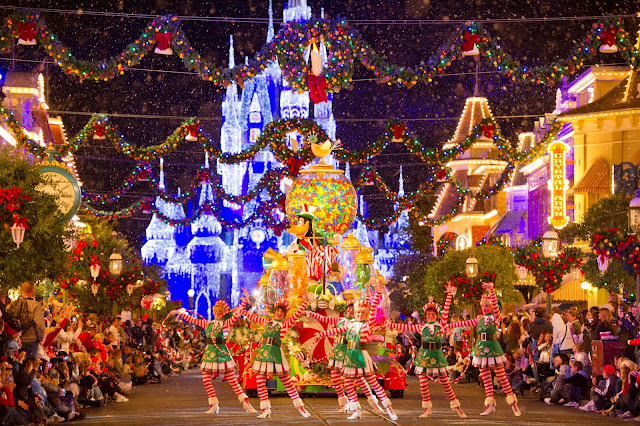 Entertainment, Fireworks and More: Santa’s elves have transformed the Magic Kingdom into a winter wonderland with festive wreaths, bows, garland, sparkling lights, parades and towering Christmas trees. The fun includes the Holiday Wishes: Celebrate the Spirit of the Season nighttime fireworks spectacular, plus live entertainment with Disney characters all dressed up for the holidays. Jungle Cruise Goes ‘Jingle Cruise’: For the holiday season, Jungle Cruise will temporarily transform into “Jingle Cruise” for Magic Kingdom guests with festive decor in the attraction queue and boathouse, holiday names for the Jungle Cruise boats and a slew of seasonal jokes from the Skippers to their passengers. This seasonal takeover of the attraction debuts Nov. 8 in Adventureland. Holidays Around the World: Guests become immersed in the festivities, as they experience a celebration of the holidays from the various countries throughout World Showcase. The merriment continues with meet and greets with Santa and Mrs. Claus, plus the nightly “IllumiNations: Reflections of Earth,” laser, light, fireworks display capped with a seasonal finale. The Osborne Family Spectacle of Dancing Lights: This massive seasonal display features millions of dancing lights, plus animated displays and 3-D effects perfectly synchronized to electrifying holiday tunes amidst snowfall. 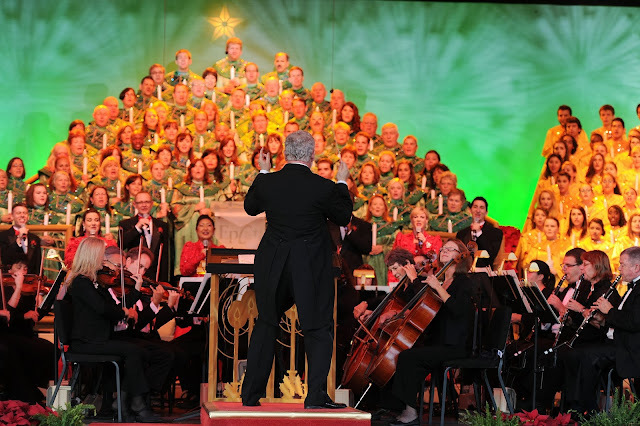 The rich tradition takes place on the Streets of America, dazzling guests from Nov. 8, 2013 to Jan. 5, 2014. Celebrate safari style as Disney’s Animal Kingdom is wilder than ever this winter season. 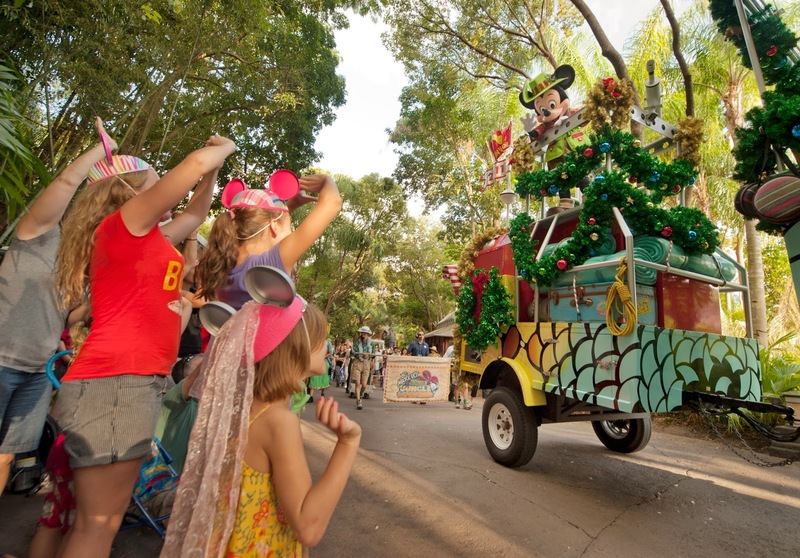 Mickey and his pals rejoice in traditional holiday music with a world beat twist during the daily “Mickey’s Jingle Jungle Parade” Nov. 7, 2013 to Jan. 2, 2014. Get all your holiday shopping done at Downtown Disney during Festival of the Seasons. From Harley Davidson to gigantic toy stores like Once Upon A Toy, there’s something for just about every style and budget. The shopping mecca is draped with yuletide cheer from Nov. 15 – Dec. 29 featuring live entertainment, holiday carolers, a lively street party, plus photo ops with Santa and Santa Goofy. During the holiday season guests of the Walt Disney World Resort can enjoy a dazzling addition to festive favorites with Glow with the Show Ear hats. Beginning in November with the premiere of Spectacle of Dancing Lights at Disney’s Hollywood Studios and Holiday Wishes: Celebrate the Spirit of the Season fireworks spectacular at Magic Kingdom, the Glow With the Show Ear hats will place guests in the middle of the magic. With every dancing light, musical note and vibrant explosion in the sky, the Glow ears will illuminate, change colors and patterns to synchronize with every spectacular moment during these yuletide shows. The new Glow With the Show Ear hats debuted at Walt Disney World Resort during the 15th anniversary of Fantasmic! at Disney’s Hollywood Studios, and were added to Wishes and Celebrate the Magic castle projection show at Magic Kingdom. 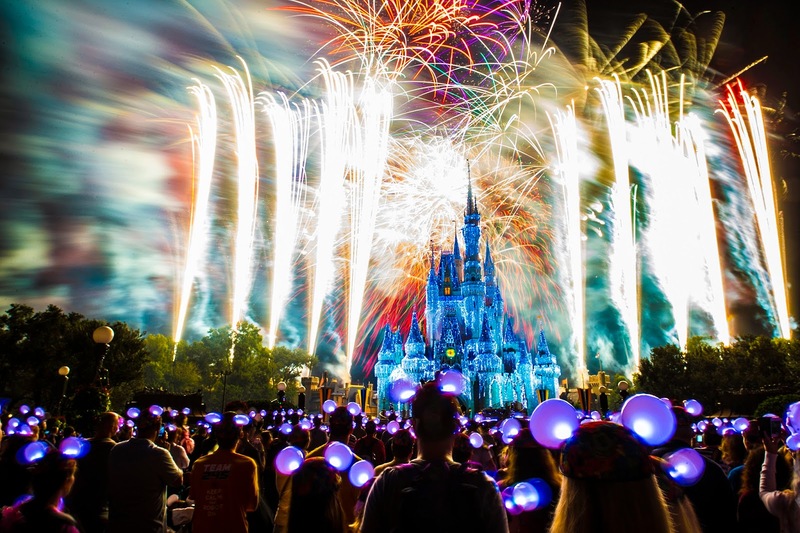 These magical Ear hats glow in myriad colors, commanded with the latest technology to complement the imagery and beat of the fireworks and spectaculars. When not activated by these experiences, more surprises are in store for participants as the magical ears glow with other ears and settings around the Vacation Kingdom. The resorts are dressed up for the holidays with festive décor, gingerbread houses and more. And guests can experience even more magic this season with great pricing. For as little as $74 per person, per day, guests can enjoy a 6-night, 7-day vacation package with room and tickets valid at all four theme parks. Visit Disneyworld.com, for booking information. Rates are based on availability. Total package price $2,051. *Sample package quoted is for a family of four – two adults, one junior and one child — in a standard room at a Disney All-Star Resort for stays most nights Nov. 8 – Dec. 12 (excludes Nov. 23-29, 2013). Tickets are valid for one theme park per day and must be used within 14 days of first use. From lunches and dinners to a New Year’s Day brunch, there are more than a dozen spots for ringing in the New Year. Monsieur Paul in France starts celebrating at noon with seatings throughout the day and evening. In the Magic Kingdom, Tomorrowland Terrace will feature a New Year’s Eve fireworks dinner and dessert party. For information and reservations, guests can call 407/WDW-DINE.